New Renault Megane RS has been eagerly awaited by sports driving enthusiasts. 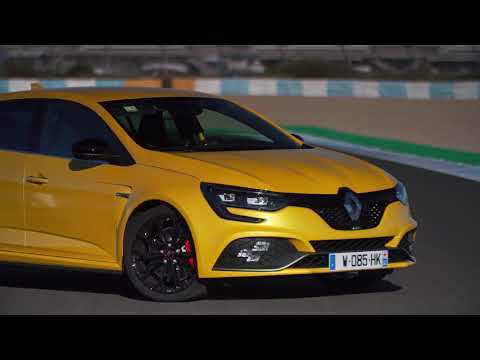 Aiming to become - like its predecessors - a benchmark in the Csegment hot hatch market, this third generation of Megane RS is packed full of Renault Sport expertise and passion. Driven by its powerful design and focused on performance, New Renault Megane RS makes no attempt to hide its motorsport pedigree, offering outstanding driving pleasure on the road and on the track.Having raised the bar on handling with Megane III R.S., the chassis and suspension system engineers have pushed the limits even further by introducing 4CONTROL technology on New Megane RS Provided as standard on the Sport and Cup chassis, this four-wheel steering system is a world first in the compact sports car segment. In 2015, Renault Kadjar established a strong position in the compact SUV segment. Its flowing lines, dynamic qualities and comfort attracted a wide range of customers. At the same time, Kadjar benefited from the expertise of our partner Nissan in all-wheel drive systems and off-road capabilities.New Renault Kadjar makes progress in all areas. While respecting traditional SUV design codes, it has a more attractive, stylish look, with dynamic contemporary lines.New Kadjar places the emphasis on comfort, quality and ergonomic design. The interior has been redesigned for an even more enjoyable day-to-day driving experience.Last, New Kadjar has more advanced, fuel-efficient gasoline and diesel engines for greater driving pleasure.